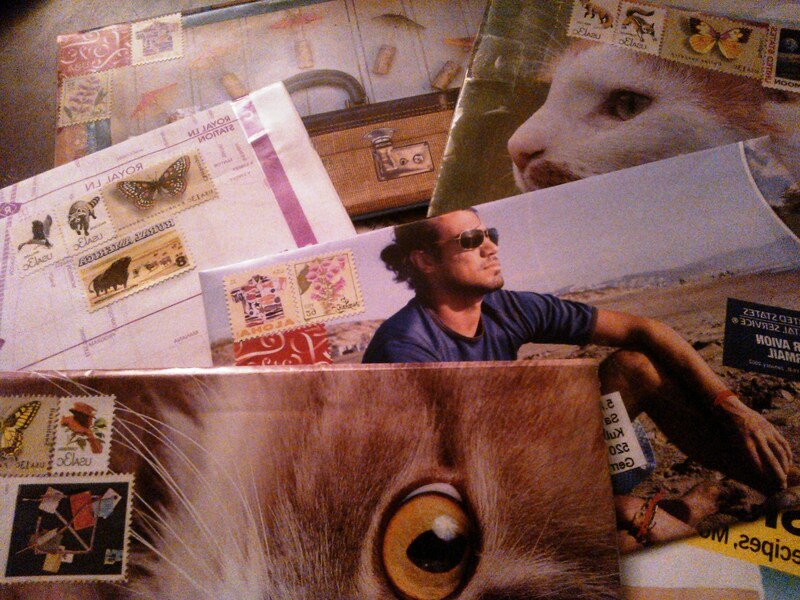 Going out in Friday’s mail…. 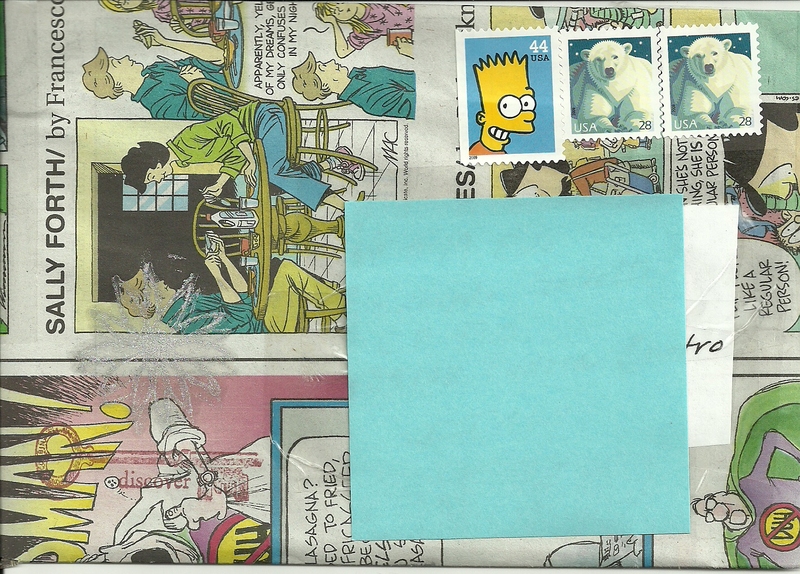 a postcard in an envelope made from the Sunday funny paper. 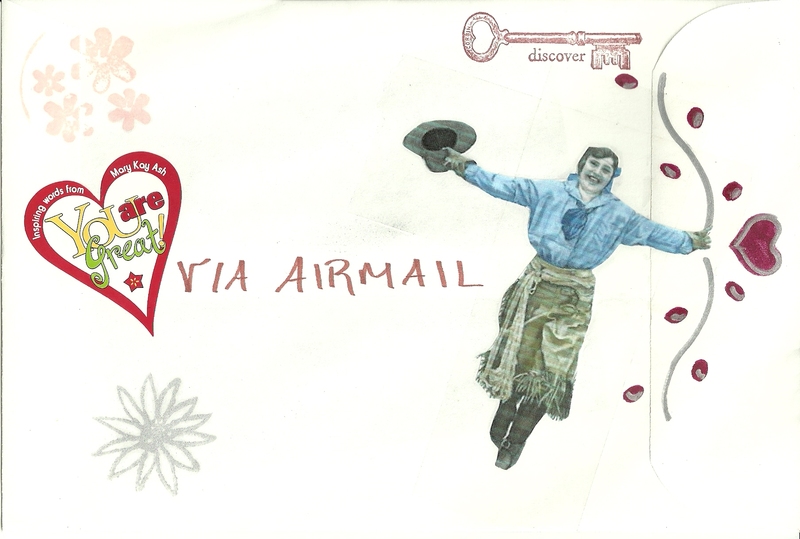 many postcards do not fit in a regular letter envelope. They do fit in a legal size envelope but i think this one is more fun. It’s on its way to Italy.